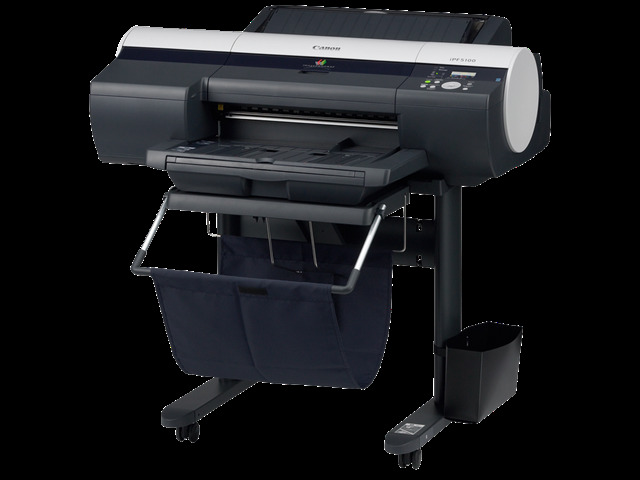 The Canon imagePROGRAF iPF5100 is a wide-format, 12-ink printer designed to produce large prints with a great deal of image precision and detail at high resolutions. For either amateur photographers or photography professionals looking for high-quality results with long-term wear resistance, the iPF5100 may be perfectly suitable. The printer measures 13.5" by 39.3" by 31.9" and weighs approximately 117 lbs, making it heavier than high definition consumer printers but fairly typical in weight and size with other models like it. It will fit comfortably on its own desk or table, as well as on a credenza, though feeding larger documents may prove tedious if the printer's feeds are inaccessible. 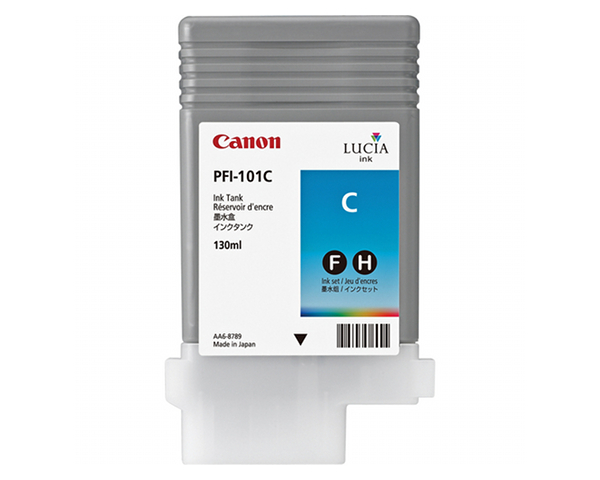 The iPF5100 produces documents at a maximum resolution of 2400 by 1200 dpi and includes 30720 nozzles divided evenly between the 12 colors (cyan, photo cyan, magenta, photo magenta, yellow, black, matte black, red, green, blue, gray, photo gray), giving each color 2560 nozzles. To ensure print quality, the printer includes non-firing nozzle detection and compensation, meaning that prints will not be missing parts. The printer's ink droplets are 4 picoliters in size. Unlike some other models, users do not need to swap photo and non-photo color cartridges in order to use them. 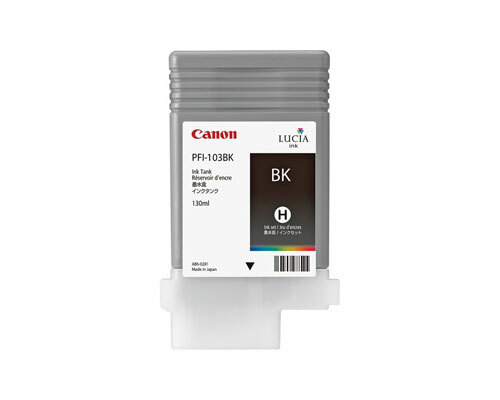 The iPF5100 supports printing to heavyweight satin photo paper, glossy photo paper, satin photo paper, graphic matte canvas paper, and heavyweight glossy photo paper. Papers are available in roll, letter, and other sizes. The printer has a one roll, front output roll feed. It also has a top loading manual feed that supports one sheet through its front output, and a front loading manual feed capable of printing one sheet through its front output. It also includes a 250 sheet cassette for processing letter and plain paper. The printer can print to cut sheets, as well as roll paper, between 8" and 17" in size. Its top loading manual feed supports documents between .08 and .8 mm in thickness, its front loading manual feed can process documents between .5 and 1.5 mm in size, it can handle roll paper between .08 and .8 mm, and its cassette can process paper sized between .08 and .3 mm. Its maximum roll print length is 59', and it can print borderlessly to documents sized 10", B4, A3+, 14", 16", A2, A2+/17". The printer includes 192 MB of RAM and connects to systems via USB 2.0, 10/100 Base T/TX via an Ethernet port, and, through an optional expansion, IEEE 1394 Firewire. It includes support for Windows 2000, XP, and Vista, as well as Mac OS 9 and Mac OS X. The printer uses 6W of power in standby mode and a maximum of 100W when working, and produces 35 dB of noise in standby and 51 dB of noise when working. Review it: "Canon imagePROGRAF iPF5100 "